Often times, the simpler the better. 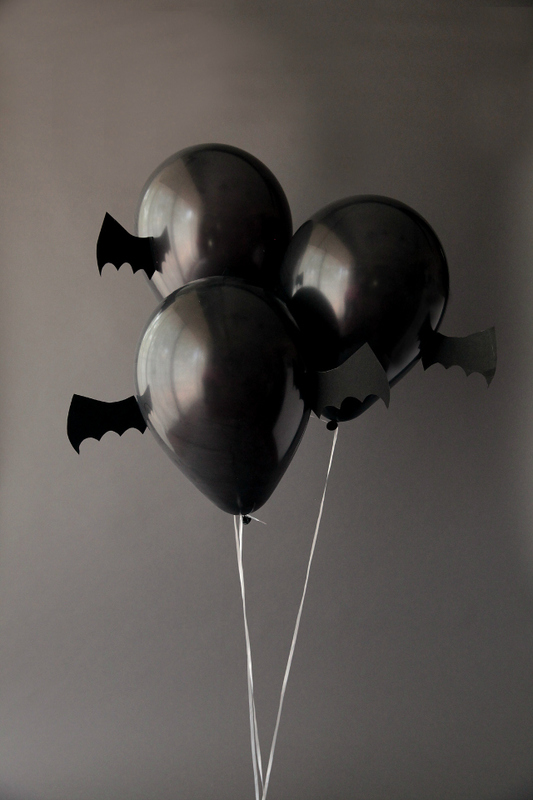 All it took was a pair of paper wings to transform these balloons into Halloween bats! 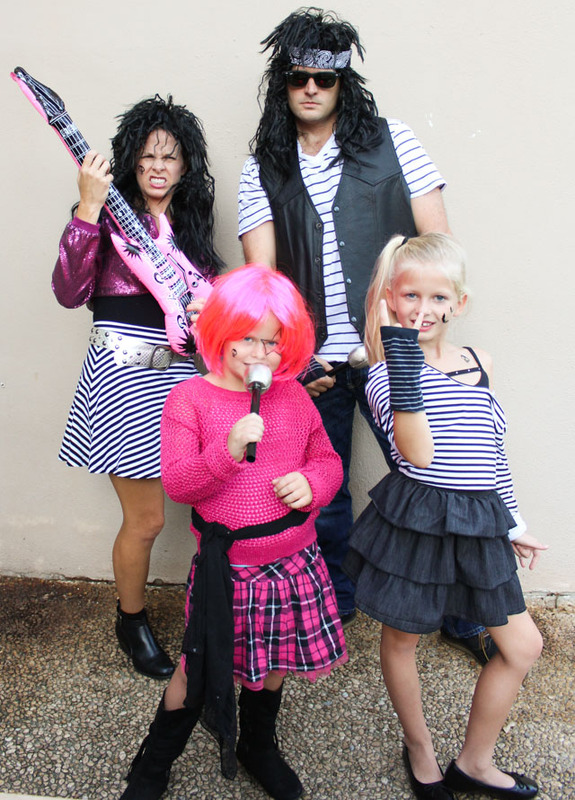 I love that you can tell what they are without adding any further embellishment. Leaving them as just their silhouette keeps them modern and fresh. 1. 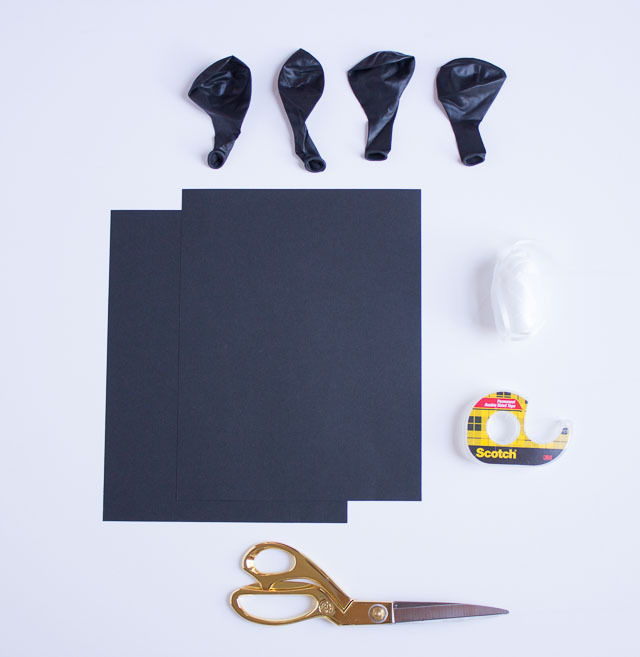 Inflate your balloons with helium. 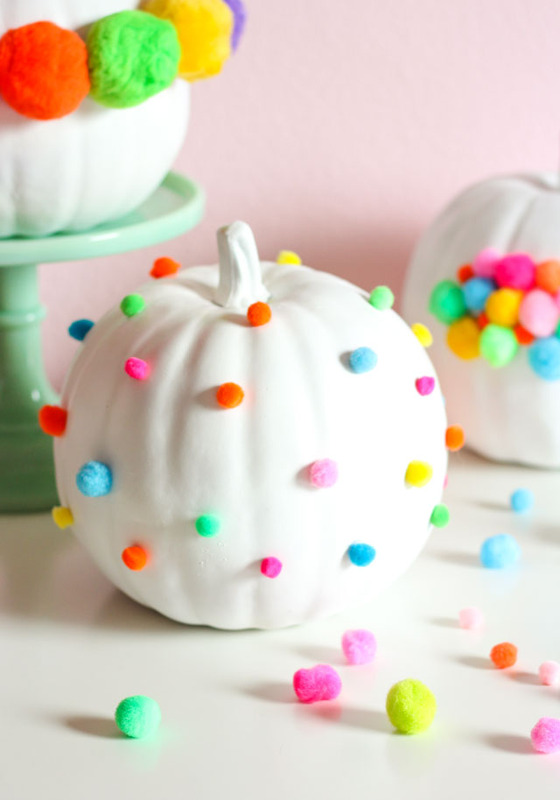 If you want them to stay afloat for more than 6 hours, have your local party store fill them with Hi-Float which will make them last a couple days. 2. 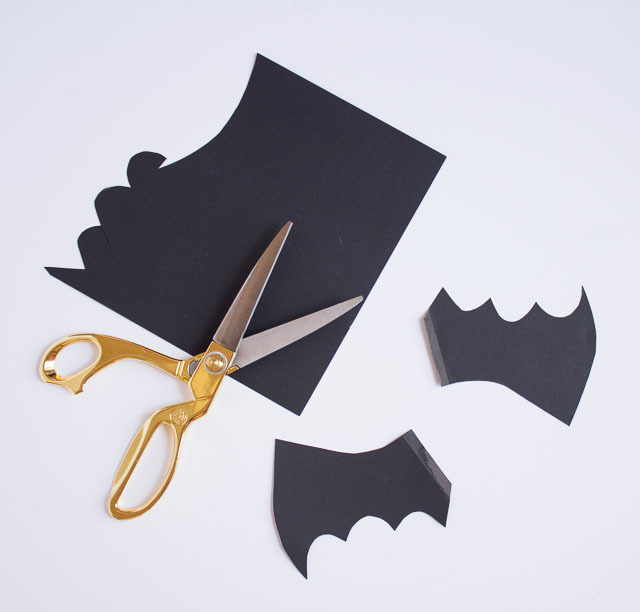 Trace a bat wing on card stock and cut it out to serve as the template for the rest of your bat wings. 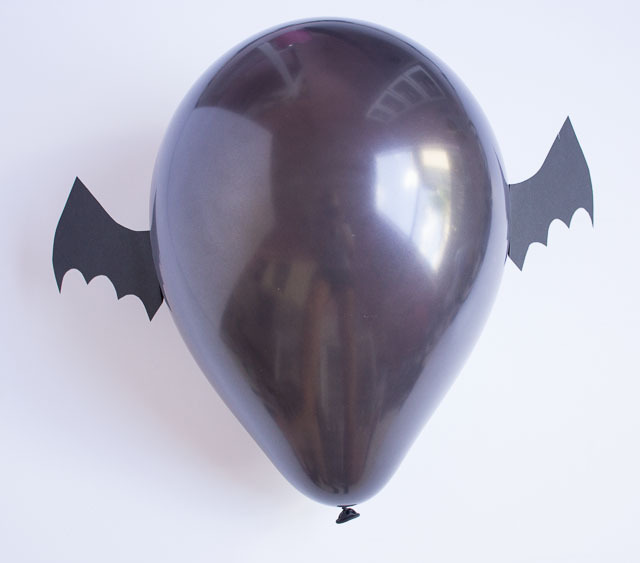 Cut out a pair of wings for each balloon. My wings were about 5 inches long. You don’t want them too long or they will weigh down the balloon. 3. 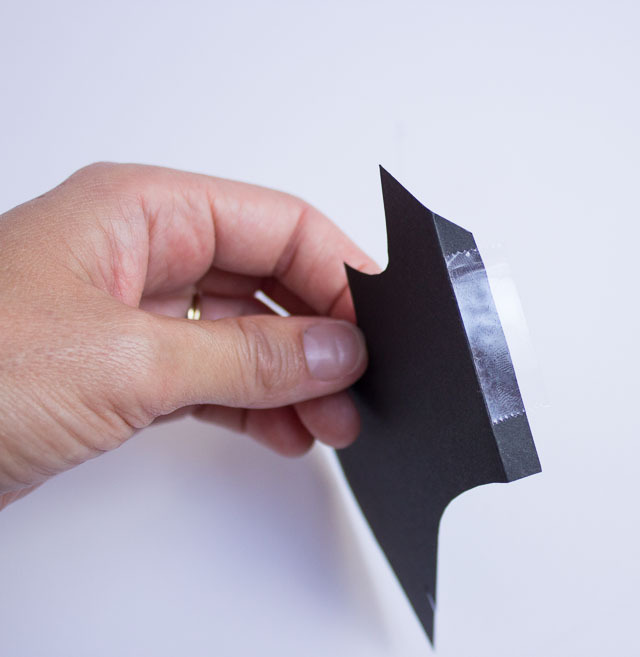 Bend back the end of each wing to make a tab that will stick to the balloon and add a piece of double sided tape. 4. 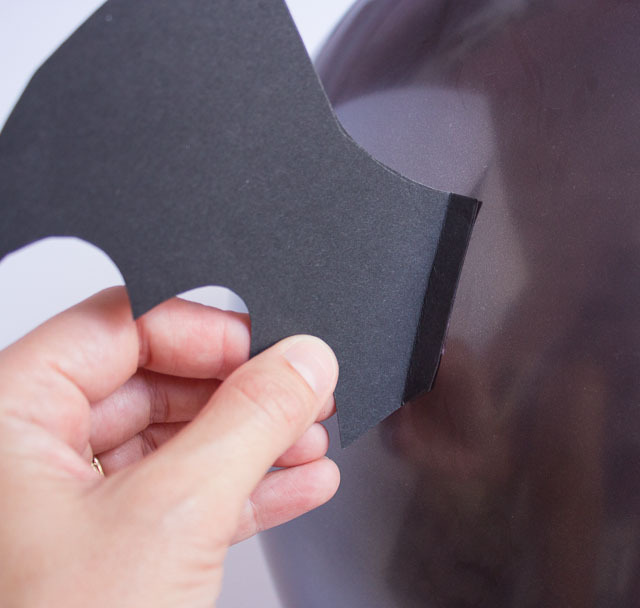 Stick a wing on each side of the balloon and you’re done! 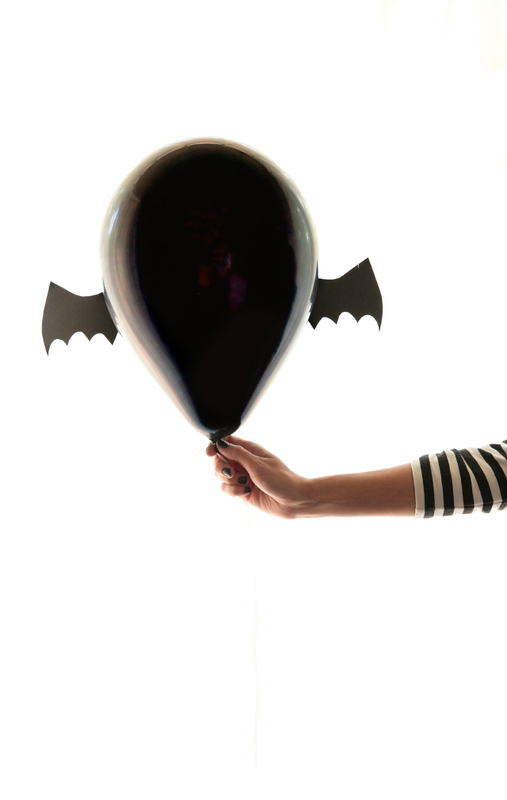 Don’t miss out on these other Halloween Balloon Week ideas! 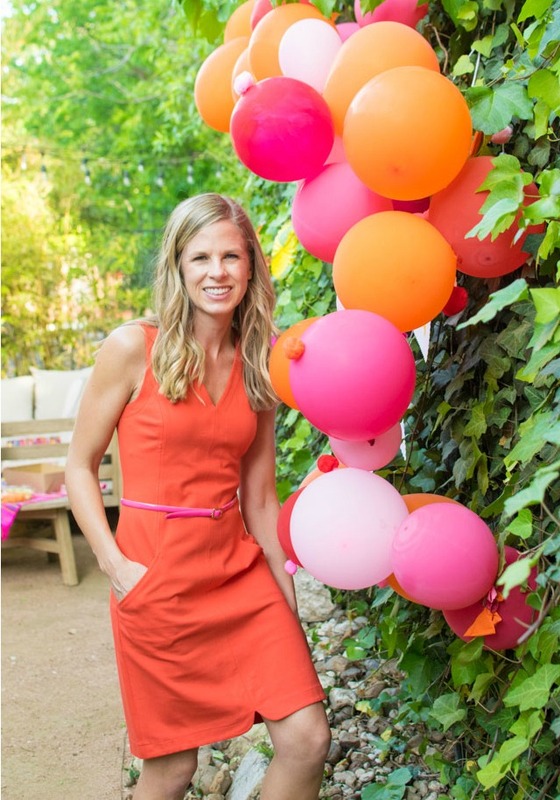 Photos of finished balloons by Amanda Raba Gentis.